From as far back as I can remember I knew I wanted very much to make a difference, to be someone who lent a hand, to share time, energy, resources and passion for a greater good. Maybe it was ego driven, maybe it was genetic, maybe it’s a combination of the two or maybe something beyond my understanding or intellectual capabilities to understand but those are the facts. 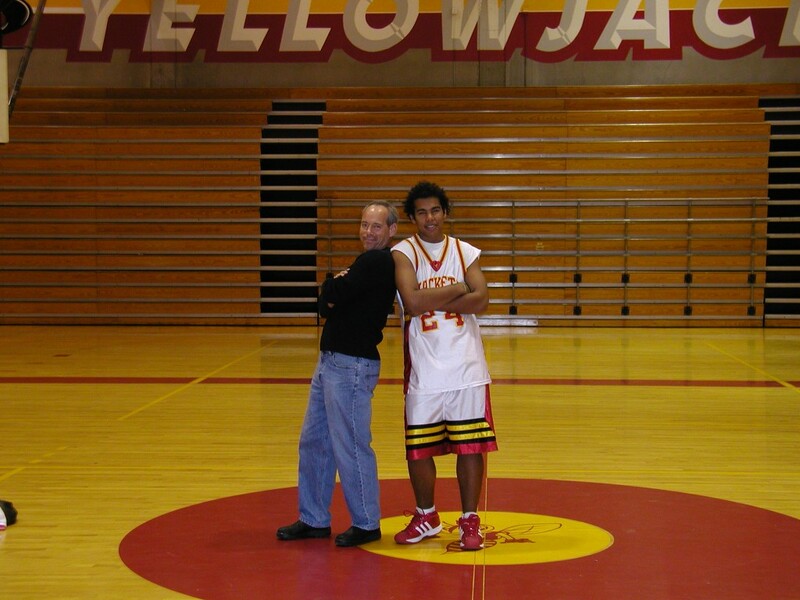 From the time I was 18 the only thing I ever knew I wanted with respect to a career was to teach and coach basketball. The game was my first love; the game remains my mistress (which my wonderful wife of 29 years thankfully tolerates). I was an Education Major at Penn State. The only thing that kept me focused in school was this passion for teaching and coaching. There was something about the game particularly back then, (The Cro-Magnon Age it seems) that spoke to me on a multitude of levels. The synergy of the players, the movement of the ball, the combination of the total effort being greater than the sum of the parts……..whatever it was, other than my family, watching great teams be great teams remains to this day one of my great joys. To be clear, in my youth I was a good player but at 5′ 9″ and only slightly above average athletic ability “good” was the maximum I accomplished, VERY FAR from a greatplayer unless you consider Coach Dale Brown’s definition. In a clinic recently Hall of Fame Coach Brown (Shaq’s Coach at LSU) said that “great players are those that make others around them better”. What gave me the most enjoyment on court was making a good pass; I was a good passer, a very good passer…..I guess I wanted to help. EXTRA, EXTRA, READ ALL ABOUT IT! “NAÏVE 22 YEAR OLD ABANDONS HIS DREAM”! History shows that toward the end of the Vietnam War teaching jobs in this country were few and far between. As I was coming through my fourth year at Penn State an edict arose that afforded draft deferments to anyone wanting to teach. You can imagine the rush to that profession and as difficult as it is now to believe in 1971 there were NO TEACHING JOBS available! Devastated is the first word that comes to mind as I recall my college counselor sharing that information with me at the time. “Physical Therapy” was his newly suggested path; in 1971 very few people had ever heard of Physical Therapy as a profession, there was only one school offering the course work AND if you recall my earlier comment, the only thing that was keeping me in school was my yearn to teach and coach! The story gets uncomfortable to tell now because I was naïve enough, trusting enough in the system, and STUPID enough to buy in to what I was being told. At the ripe old age of 22………….I GAVE UP ON MY DREAM! After bumping around and around, trying to make sense of it all I fell into the “people business” while living in New York City. I spent 5 years there but it never felt like home. A one week visit to the Bay Area turned into three and in June of 1977 I moved to the West Coast and have never left. Though I must admit the timing was not calculated on my part it was a very fortuitous time to be in Northern California. “Silicon Valley” was at its early stages; job markets were fertile, there was an influx of people new to the area like me; we were all growing up in our respective careers together. I’ve made many amazing friends and developed some incredibly enriched relationships for which I will be eternally grateful. “Win-win” to the nth degree, connecting people, sharing resources, lending a hand; Connecting Resources and Opportunities is now in fact how I describe my business life. A book I read in 1996 with that funny title changed my life, or should I say pushed me to revisit my dream……20+ years later. That’s my story to this point, what’s yours? What do you want it to be? Are your actions congruous with you vision? You’ve read my story, now write yours down. You obviously don’t need to share it but do read it and decide if what you’re reading is what you’ll want to be reading in 5, 10 or 20 years. If it is I applaud you, keep going, if not………………. TAKE ACTION TODAY TO GET ON THAT PATH! While describing the urgency of a specific situation one of my teachers said…..
“You can do this or not do this but if you don’t you’ll be relegating yourself to a life of mediocrity”. It’s not easy! There are no straight lines from now to your dream! There are bumps, setbacks, scary monsters, friends and family (sometime those are the same scary monsters) providing challenges and diversion along the way. If you believe nothing else please trust me on that point. Do it now! Don’t wait 24 years to realize your dream. Will you have self doubt? Probably! Do you need a strategy? Certainly! Is it worthwhile to pursue your dreams? That’s a question that I guess only you can and WILL answer that for yourself. Consider Michael Jordan, maybe the greatest basketball player who will ever walk the face of this planet was cut from his high school team as a sophomore. If you ever wondered why he worked so hard, the answer may lie in that story. I urge you to get going………….